Eco-luxe moisture mask is packed full of natures finest ingredients. Blended into a luxurious treatment to hydrate, nourish and repair locks of all ages. A natural alternative to botox this beauty tool works wonders to reduce puffiness, promote lymphatic drainage, improve skin tone and elasticity and relax facial muscles. Perfect for expecting or new mum. It includes cocoa and coffee body scrub, gentle baby balm and soothing lip balm, and a handmade organic baby teether and strap. This box is aimed at mums of tweens and teens, a perfect opportunity to open up a dialogue about beauty, your body and healthy beauty options with your daughters. Mum set of 3 reusable face wipes; daughter set 3 reusable face wipes; mum skincare/makeup headband; daughter skincare/makeup headband; Native Glow Travel size Calming Desert Cleanser in 30ml; Native Glow Travel size Wild Citrus Hydrating Toner in 30ml; Native Glow Travel size Desert Dew Moisturiser in 30ml; Native Glow Charcoal Tea Tree Goat’s Milk Soap; Luscious Lipstick sample in (New colour) First Kiss; Luscious Lipstick sample in Framboise. A beautiful selection of naturally scented soaps and shampp bars. Handmade in the Blue Mountains. This pack includes three divine scents, hand crafted from nourishing organic ingredients. The trio scent range includes: Orange, cinnamon and poppyseed; Lavender and rose geranium; Rosemary and lemongrass. Made from cold-pressed coconut and olive oils. 500ml amber glass bottle with spray trigger; 350ml amber glass foaming dispenser with bespoke Hand Wash vinyl decal; 100ml amber glass bottle fine mister sprayer with bespoke Room Spray vinyl decal; 10ml amber glass bottle atomiser spray; 10ml THICK amber glass metal roller ball; 5ml amber glass metal roller ball; 1ml amber glass metal roller ball. Luscious organic body butter with cold pressed oils, and essential oils are a perfect match for Laura’s detoxing bath teas, which contain Himalayan, Dead Sea and epsom salts, essential oils and botanicals. A perfect gift set for every mum. Bees Paradise Face and Body Oil is created in Nina’s boutique apiary in the Blue Mountains. Using cold pressed organic oils rich in nutrients and complex minerals from flowering plants that bees adore. The unrefined flora oils are bursting with an abundance of vitamins which help to repair and revitalize your skin. 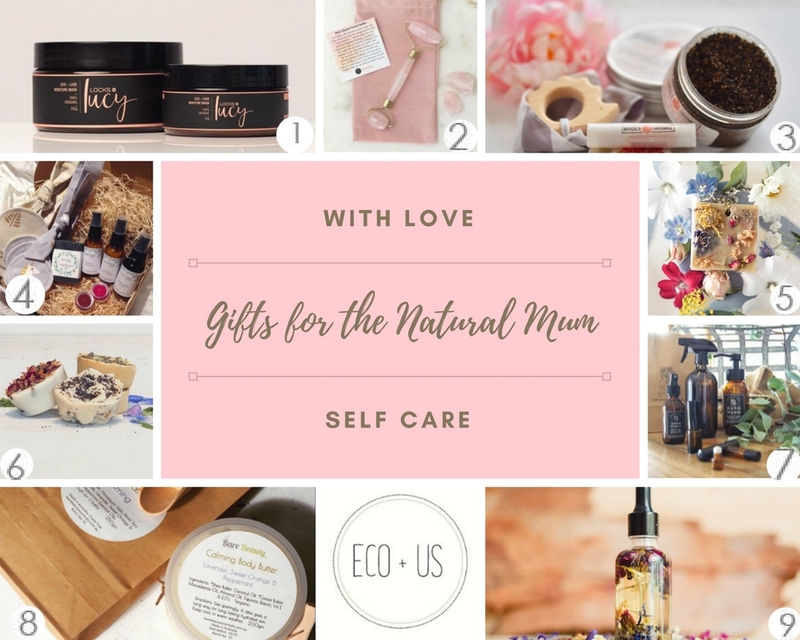 What a beautiful collection of Natural Skincare Products perfect for every mum. Order now in time for Mothers Day.